Hello everyone! I’m Sara and I blog over at Running from the Law. 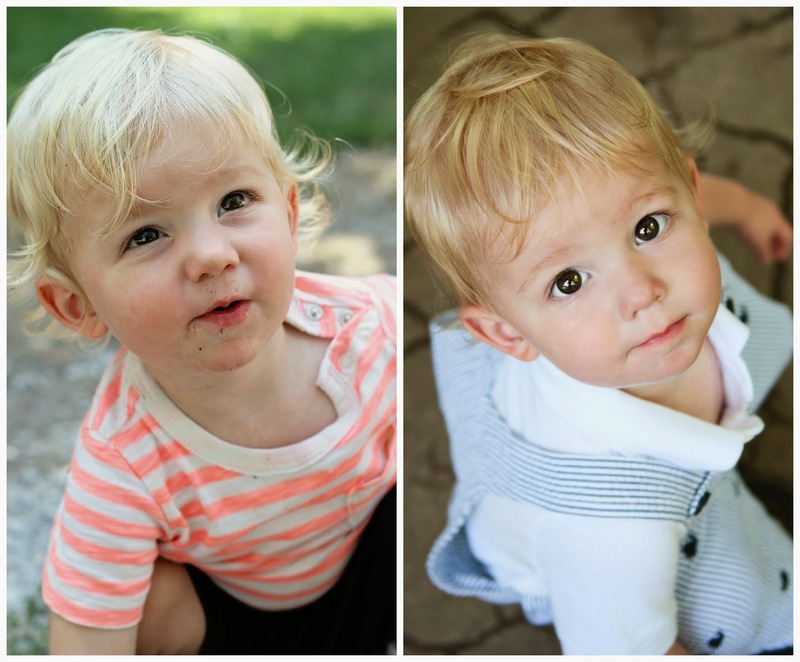 I’m a full-time lawyer and mama to 22 month old wild-child and “all boy” Mac. I’m also pregnant with a little girl (Mim), due in July, so my days of being exclusively a “boy mom” are numbered. 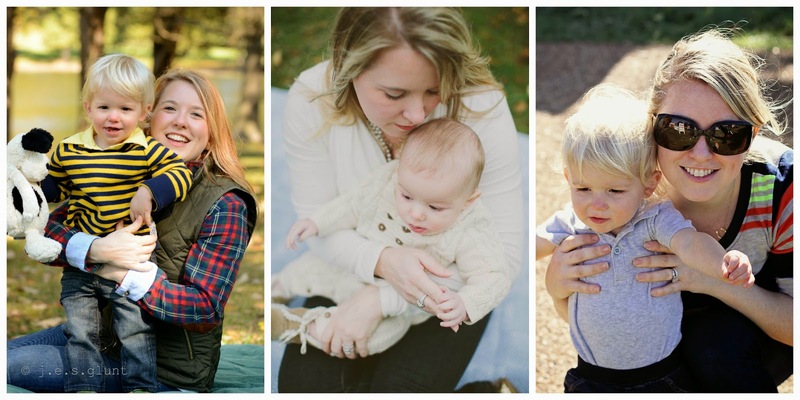 I’m thrilled to be here with you today sharing my take on why I think being a boy mom is so incredibly wonderful and a few things that have surprised me about raising a boy. I’ve always known that I wanted to have a son. I grew up the oldest of four – the only girl with three younger brothers. I think living in a family with so many rowdy, dirty boys gave me the view that kids (and family life) should be loud and rambunctious, messy and busy. Despite my love of dresses and books, I was a tomboy through and through. I grew up in the country, hunting and fishing with my dad, playing in the mud with the boys and dominating every G.I. Joe battle that came my way. I can shoot a bb gun, make a mud pie, pitch a tent, start a fire and clean a fish with the best of them. Whenever I thought about my future “mom self,” I always pictured going on camping trips, refereeing games of cops and robbers and cheering in the stands at baseball games. I'd be the type of mom that can build awesome forts, identify various bugs/spiders, know how to patch knee holes in pants and doesn't mind balls being thrown through the house. That’s what I was used to. 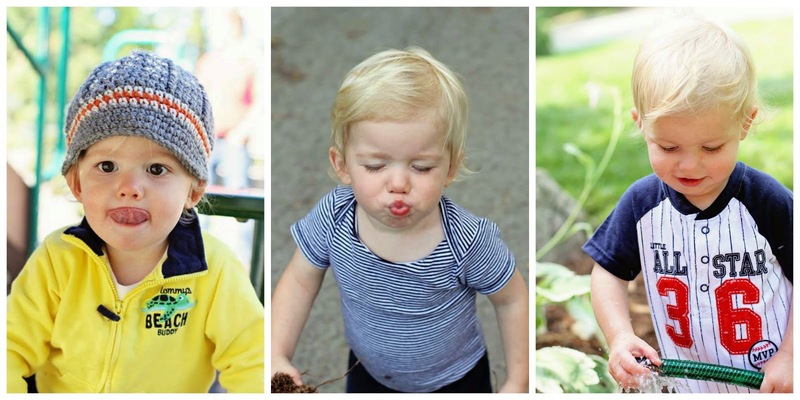 My husband was one of two boys in his family and very much a “guys’ guy.” When we finally found out we were expecting (after a long struggle with infertility), we both “not so secretly” expressed our desire to have a boy first. We weren’t against having a girl (girls can camp and fish too! ), but we wanted a son first. Just the idea of a potential future daughter (or son) having an older, wiser and protective big brother warmed my heart. So when the big day came and the ultrasound technician finally confirmed that our baby had “junk,” we both high-fived each other and squealed with delight. 1. 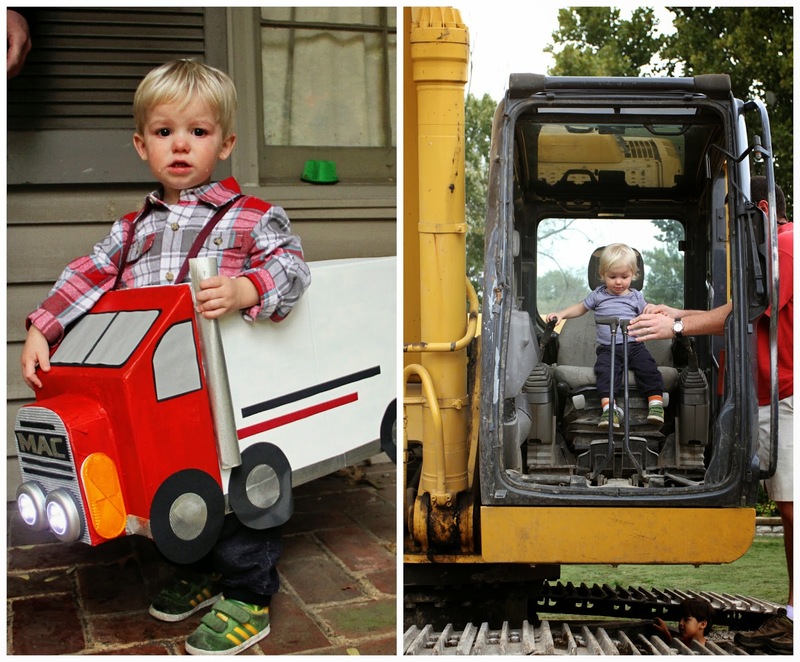 The love for trains, cars, trucks, buses and tractors is ingrained in boys. It seems like all little boys adore things with wheels. I thought this was something that was learned, but now I know it is hardwired in their tiny brains to become obsessed with trains, trucks and tractors. 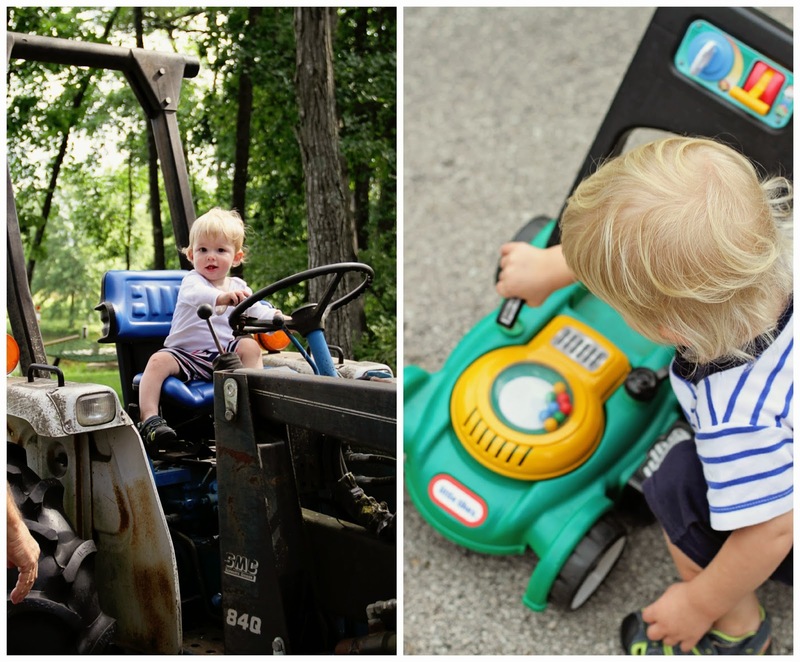 Despite me doing anything to foster or encourage this love, my child is drawn to vehicles like a moth to a flame. Which in turn, means they are my life now too. I now know the names of at least 20 types of tractors. I point out every single fire engine, ambulance, school bus or tow truck we see because it makes Mac so happy. We go to the zoo exclusively to ride the train, not to see the animals. We watch shows about construction sites, sing songs about buses and read books about the mail truck. Thursday morning is a big deal at our house because it’s garbage truck day. It never ends. 2. Boy clothes are SO easy. I’m not sure I fully appreciated just how easy it is to dress a boy until I found out #2 is a girl and started buying clothing for her. With Mim, I’m buying tights, leggings, headbands, bows, dresses, skirts, tops, cardigans, etc. With Mac, it’s pants, shirt and sneakers - dressing him is so easy! (Well, other than the part of physically restraining him and keeping him still long enough to get clothing on him.) All of his clothing is pretty inexpensive and relatively durable. Basically everything goes together and matches (even if it doesn’t really). I don’t worry about labels or styles or trendiness. He doesn’t need accessories or matching socks or coordinated outfits. He’s just going to get filthy anyway. As much as I’m looking forward to dressing a little girl, I’m pretty pleased with the convenience and lack of drama of dressing a boy. 3. Boys never slow down. From the moment he wakes up to the moment he passes out, Mac is going going going nonstop. He is the most active, wild, adventurous, continuously energetic child I’ve ever met. Mac has two speeds: fast and faster. Maybe it’s just me expressing my absolute exhaustedness (give me a break…I am pregnant), but Mac seems to run circles (literally) around every other child we meet. One minute he’s dumping out all the dog food and splashing in the water bowl and as soon as I turn around he’s standing on top of the kitchen counter trying to help himself to a snack. My husband and I joke about possibly feeding him less or putting him on the treadmill every morning to try to wear him down so he’ll sit still for more than 3 seconds at a time. He is wild! Does every boy mom feel like this? 4. Boys are rough, but affectionate. Believe me, I’ve been in enough knock-down drag-out fights with my brothers to know that boys are rough. They wrestle, fight, hit, tackle and roughhouse. I think it’s probably really healthy for little boys to be so physical, whereas little girls are much more verbal. However, I have been so incredibly surprised by the kindness, gentleness and sensitivity of my son. He is gentle with our animals and loves them so openly. He shows wonderful empathy and sensitivity when someone is hurt. He is very affectionate with us, generously giving hugs and kisses – even though the hugs start with a running leap and end with a full-on body tackle. Those are actually the best kind of hugs. 5. Boys love their mamas. I’ve heard this a million times, but until you experience it first-hand, there really is nothing more amazing than being the love of your son’s life. Little boys love their mamas. Actually, lots of big boys love their mamas too and I’m hoping that we are raising a boy that will not only grow into an amazing husband and father, but one that will still call his mama for advice and support. My husband is a total mama’s boy (I mean that in the best possible way), so I am constantly asking her advice on how to raise such loving, respectful and compassionate young man. I know that one day (probably very soon), my husband will become my son’s best friend and most trusted companion as they start to go on adventures together and do “boy stuff.” But I also know that despite a mutual love of sports or hunting, I’ll still be his mama and will always be his first love. Thanks so much to Elizabeth, for letting me be a part of this amazing series. I'm now nearly two full years into being a "boy mom" and have loved every single second of it. It's exactly what I thought it would be and better. My little man is the love of my life. However, I can't say that I'm not absolutely beyond excited to try out being a "girl mom" too when Mim arrives this summer. I look forward to all the wonderful things that we'll teach each other and get to experience together, like prom dress shopping and spa days. I just hope she likes camping and making mud pies too! Sara, I didn't know you were the oldest and had three brothers...so am I! Too funny! 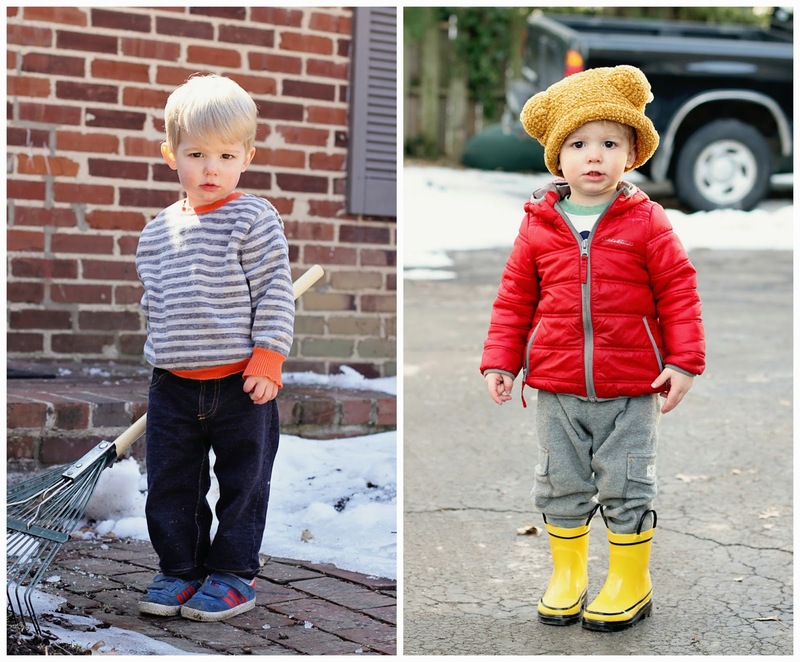 Love your perspective, as always, on being a boy mom! And you'll make the best girl mom too! !